Lightweight and robust – the EQ Carbon Landing Net from Trakker is an exercise in net engineering perfection. It’s no wonder that the EQ in its name stands for equilibrium as this net is perfectly balanced and you won’t ever feel under any strain whilst you’re using it (even when you’re landing huge double figure carp). The 42 inch spreader arms are slotted into a stainless steel machined head block, ensuring that the base for this net is sturdy. After all, the spreader block is the point of the net which is likely to be under the most pressure, as it is the meeting point between the net (holding the fish which is exerting a downward pressure towards the water) and the handle (which you’re exerting an upwards pressure on in order to lift the fish from the water). This is why the spreader block on a net is often considered to be its weakest point – this isn’t the case on the Trakker EQ Carbon Landing Net. The net itself is made from mixed mesh. 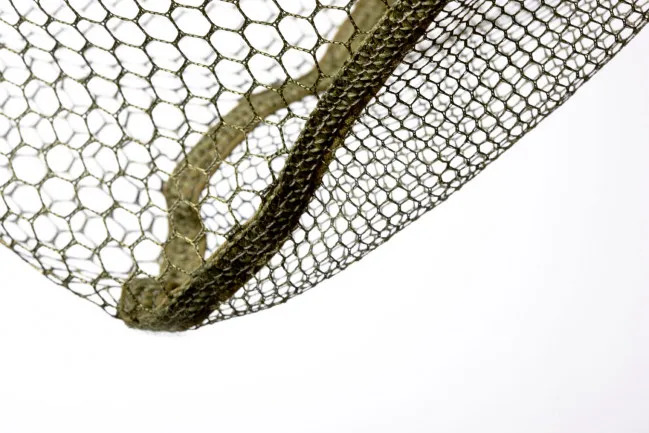 Meshing on a net is incredibly important, and Trakker has done everything in its power to ensure that not aspect of this net can damage the delicate scales of the fish. 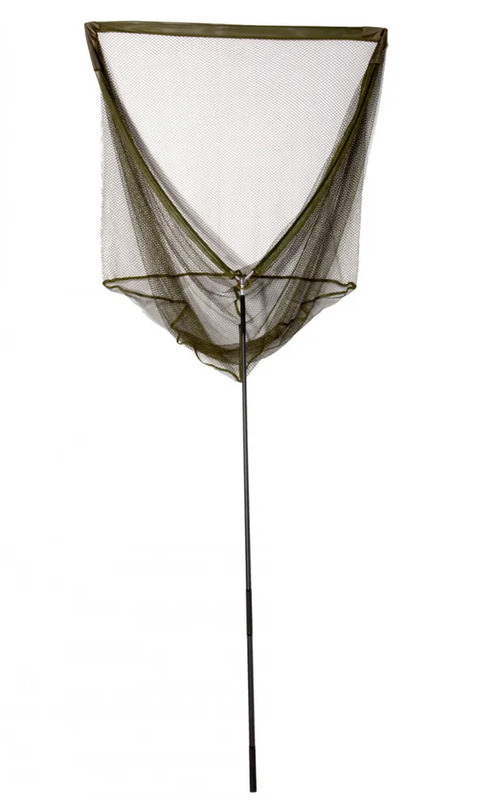 Wide weave on the sides of the net allows for almost uninterrupted water flow through the net, allowing you to enjoy full control of the net as you manoeuvre it under the water, yet tight meshing on the base of the net ensures that your fish is cradled carefully as you lift it from the water. 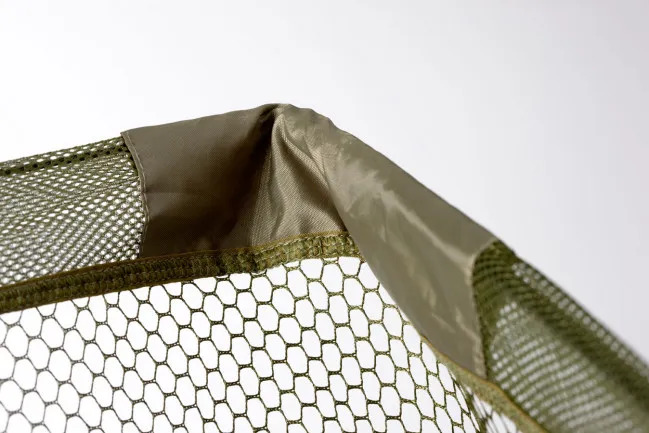 The top corners of the EQ Carbon Landing Net have been reinforced, too, as this is the area of the mesh which experiences the most strain when landing your catch and the reinforcement significantly reduces the risk of the net ripping or tearing – extending the life of your net. As the name suggests, this is all topped off with a 6ft long carbon handle. The EQ Carbon Landing Net has an incredible reach, so you don’t have to worry about leaning precariously over the water to land your catch, and 6ft is generally considered the optimum handle length for most anglers fishing with a standard 12ft carp rod. 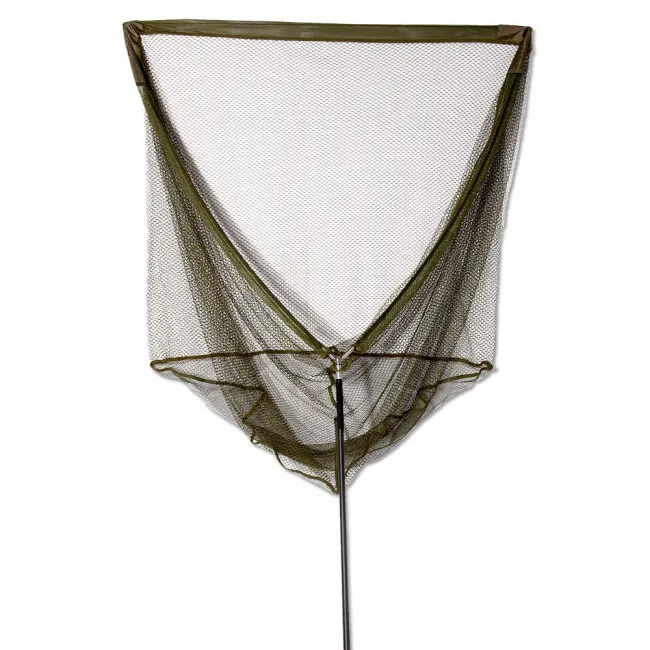 Carbon is an outstandingly lightweight material, so this net is featherweight for its size and you’ll never have to worry about getting an aching arm as you hold out your net for your catch. This also makes the net very easy to transport, as you don’t have to worry about it weighing down your tackle bag. 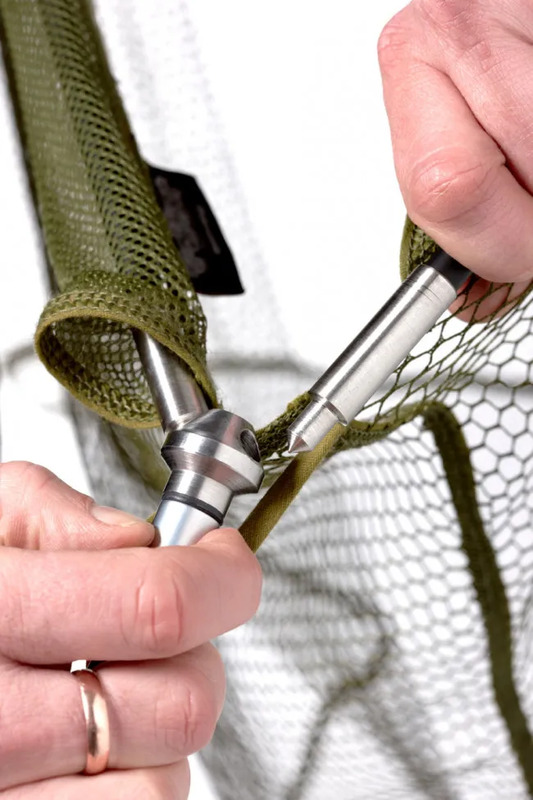 The EQ Carbon Landing Net is available in both olive and black mesh so, whether you have a modern all-black setup or you favour a traditional carpy olive, you’ll always be able to match your net to suit your look. Producing high quality tackle for the serious angler has been Trakker’s aim since it was established as Rainbow Angling Supplies in the 1980s and Trakker is committed to pushing the boundaries of tackle design possibility. A British company driven by its innovation, Trakker was born from the closure of Sheffield steel industry and has a rugged determination to live up to its incredible heritage – which it certainly does with this EQ Carbon Landing Net. The brand is most famous for its best selling luggage design, although it also produces a range of other tackle items to make life on the bankside as comfortable as possible. This includes bedchairs, bivvies, and cooking equipment – along with a whole range of landing nets to suit anglers on all budgets. Bought as 40th birthday present. Recipient very pleased with gift. The landing net I ordered was good quality and I am very pleased with it. Not had it on the bank yet but feels light and looks great quality. Excellent value for money. Good quality product. The on line pictures of this item lead me to believe that the spreader block was different and would be easier to use.